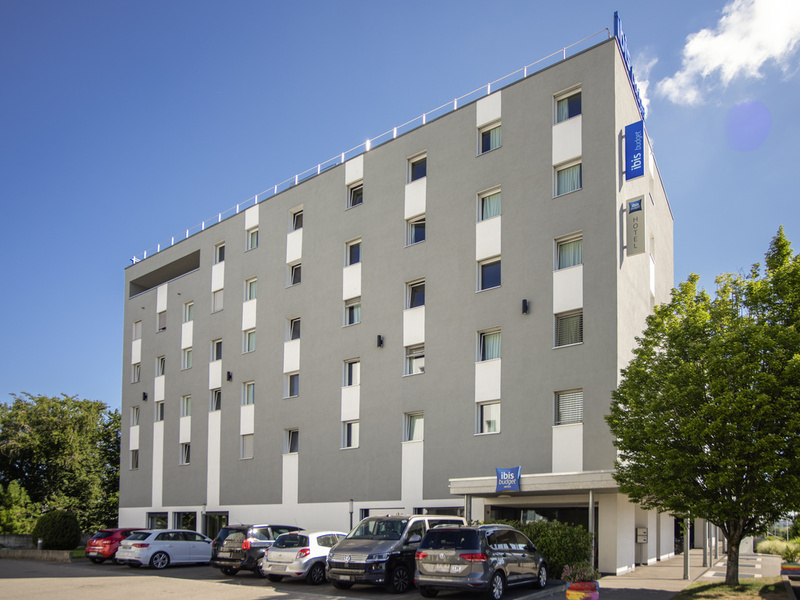 The ibis budget Fribourg hotel is an economy hotel located next to the FORUM FRIBOURG exhibition center and the BCF Arena and only 1.9 miles (3 km) from the medieval center of Fribourg. The hotel offers 85 comfortable rooms with air conditioning and free WIFI. Parking spaces are available (charges apply) and there are restaurants nearby. Enjoy an affordable weekend or week in Fribourg as a couple, family or group.